Just like last year my youngest would not go anywhere near him but she loved the show it was amazing and it told the great message portrayed in the beloved Dr. Seuss story about the giving and caring for each other over material things. 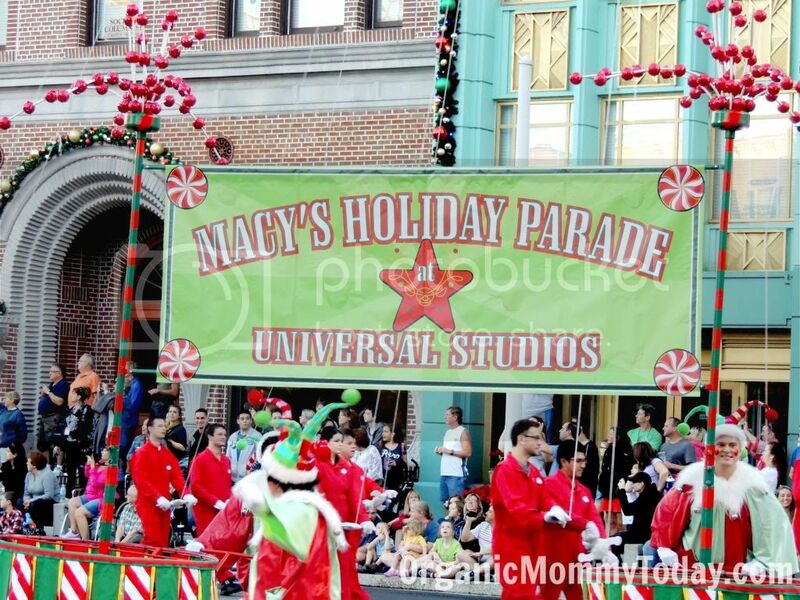 Once the show ended in Adventure Island it was off to The Macy’s Day Parade in Universal Studios side of the park. It was larger than life and we had an amazing view of the parade the kids were so excited as they lined the sidewalk eagerly awaiting the sounds of the sirens from the Police on their motorcycles and the music to start. The show, the floats and the balloons were amazing! 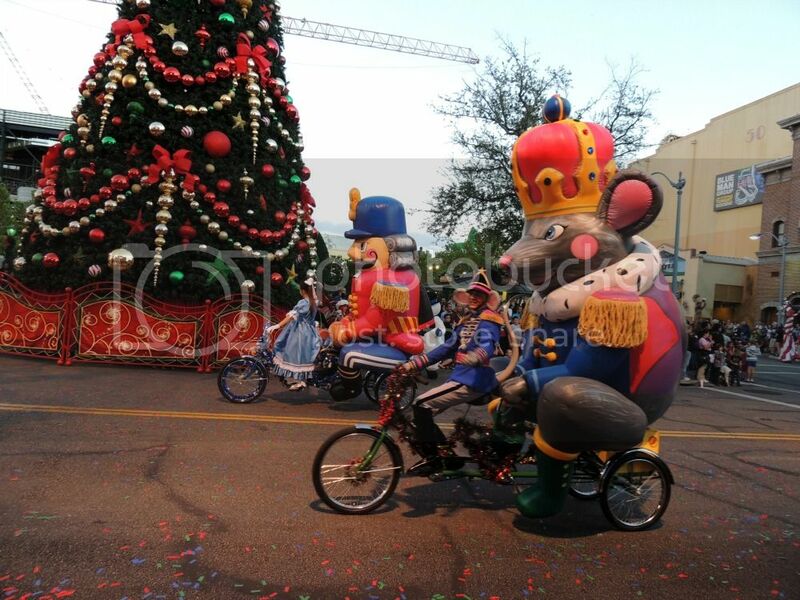 The parade begins every evening at 5:00pm, December 1 – January 1. There were quite a few new additions to the parade this year and one of my favorite were the Trykaloons. To bring the end to a perfect evening was watching Mannheim Steamroller perform live. This year they have changed up the performance and are playing more shows than they have in previous years. Performances begin at 6pm and will play on the following dates: December 1, 2, 8, 9, 15, 16, 22, 23. It is definitely not one to be missed they play many of the original holiday favorites as well as some of the songs from How the Grinch Stole Christmas. For more information on the Holidays at Universal Orlando, vacation packages and ticket offers, visit UniversalOrlando.com/holidays. Those are amazingly cute pictures! SO wish I could take my daughter! I t would be so amazing to able to take my daughter to this! I love the pictures! Thanks for the post! I love your Pictures. I would love to be there for the holidays.